The impact of the dispute on political progress is also critical. Somalia is working to achieve universal suffrage for a ‘one-person, one-vote’ election in 2020-21 that requires cohesiveness among all relevant actors in the country. With the souring of relations, the UAE could support groups standing against Faramajo and the Federal Member States, like Puntland. Analysts have similar views regarding the impact of the diplomatic wrangle. Omar S Mahmood, researcher at the Institute for Security Studies, told ISS Today that the dispute ‘could complicate implementation of AMISOM’s exit plan, given that it’s dependent on the coherent development of a Somali security sector’. 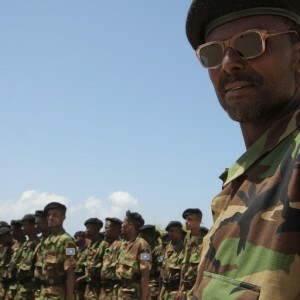 Commander Abebe Muluneh, head of the Intergovernmental Authority on Development (IGAD) Security Sector Reform Programme, says the impact ‘would force AMISOM to stay longer in Somalia, beyond 2020’. The diplomatic dispute between Somalia and the UAE will have a multifaceted impact on AMISOM being able to exit as planned. If this happens, Somalia will remain fragile, and extremist militant groups such as al-Shabaab will use this to continue threatening the country’s stability. It is therefore essential that relations between Somalia and the UAE are restored through diplomatic means, so that the UAE’s support to Somalia’s security forces can be resumed and enhanced.